Few beverages are as deeply-rooted in my childhood memories as hot chocolate. It’s a drink that reminds me of cold snowy days. It’s like a warm hug that brings a smile more so than drinking a cup of hot tea or coffee. Thick, silky, and rich-tasting. 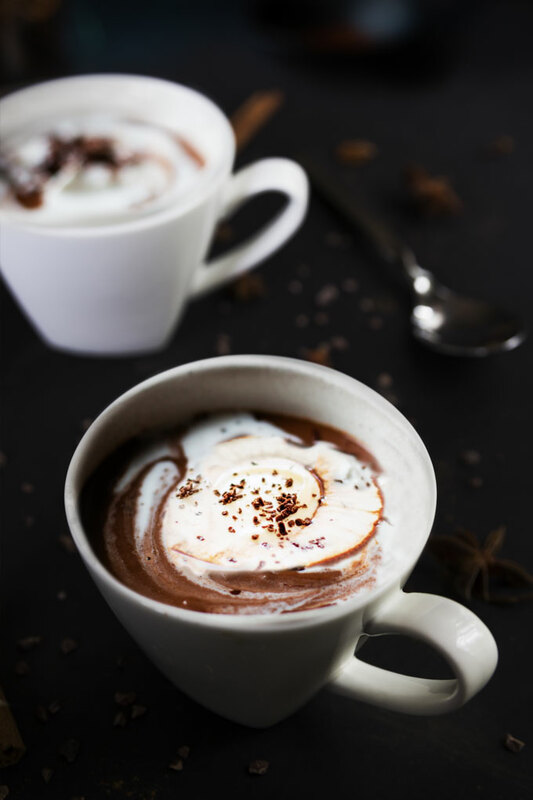 So today, I’m sharing with you a recipe for vegan hot chocolate with simple ingredients you most likely have on hand right now. Growing up, the only time I got to drink hot chocolate was on a Christmas Day. My parents would get together with a couple of their closest friends (and their kids) from our neighborhood and we would all go skating – not on a skating ring, but a frozen damn. All the snow shoveling (preceding the actual skating), repetitive falls on the skates, and long belly laughs made everyone not only tired, but also thirsty. And so when our cheeks were bright red and our hands frozen as ice, somebody would pull out a huge thermos filled with homemade hot chocolate. This was no ordinary hot chocolate. It was made with real chocolate and milk (no hot chocolate mixes made from cocoa powder and hot water). Also, there were always cinnamon sticks served with it. Of course, the cinnamon stick was intended as a spice for the chocolate, but we kids used it as a straw. In my memories, this was the best hot chocolate ever. So, you can probably imagine that I’m pretty picky when it comes to hot chocolate. Too many vegan hot chocolate recipes are too watery, too bland, too sweet, not-chocolaty enough. I’ve tried so many. So I came up with my own vegan hot chocolate that is just the way I like it. 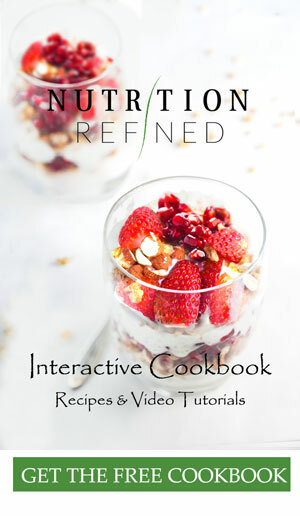 It’s so simple that it’s almost a non-recipe. The number one ingredient in any hot chocolate is real chocolate. You can find many recipes that differ from one another, but the main ingredients of any hot chocolate are chocolate and milk (or cream). There’s no right or wrong when it comes to choosing the actual chocolate. The easiest way to choose the right chocolate is to use the one you enjoy eating. It can be dark, milk, or white, depending on how sweet you prefer your drink to be. I’ve experimented with different plant-based milks for making vegan hot chocolate, but keep coming back to plain cashew milk. When made at home with just water and cashews, it tastes plain — in the best way possible. It’s a a little sweet, and only a little bit nutty. Other plant-based milks are certainly an option, but most of them come with their peculiarities. Almond milk tastes exceptionally nutty, soy milk tastes too beany, and coconut milk tastes like a sweet, floral tropical island. Rice milk would probably be the best alternative, but I would still blend it with some cashews to add creaminess. High quality ingredients are definitely worth the splurge. But if you want to make hot chocolate more often and not spend a fortune, I would recommend adding some cocoa powder and a sweetener in place of some of the chocolate. Not all, but some. I like using Hershey’s natural unsweetened cocoa powder and maple syrup. Finally, there are countless possibilities of things to add on top of hot chocolate. 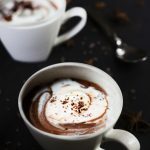 I like to serve my hot chocolate with a little bit of coconut whipped cream so that the cold cream mixes in with the hot chocolate and gives it a luscious creamy effect. Sprinkle it with a little bit of cinnamon and you have a delicious hot chocolate. Fortunately, the perfect hot chocolate doesn’t require any special equipment; as long as you have a stove, a whisk, and a sauce pot, you’re on your way. The only tricky part in this recipe is consistency of the cashew milk. If you heat up homemade cashew milk, it thickens. If you cook the milk for too long, it thickens quite considerably (I was actually able to make pudding out of this). If the milk thickens too much, you can always add more fresh milk to thin it out. One more tip is about mixing the cocoa powder with the milk. I bet there has been a time when you tried mixing some type of powder with liquid and the powder just wouldn’t mix in. Instead, it would kind of just float on top. The trick is to mix all the powder (cocoa) with just a small part of the liquid (almond milk), creating a thick mixture. You can then dilute the thick mixture with the rest of the liquid. 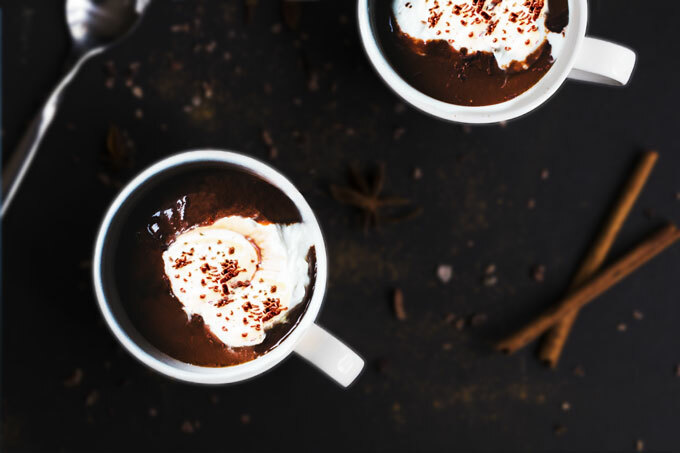 This vegan hot chocolate is like a warm hug that brings a smile more so than drinking a cup of hot tea or coffee. It's thick, silky, and rich-tasting. Add cashew milk to a medium sauce pan and warm it up over medium heat. While in the milk is warming up, mix all the cocoa powder with just tiny bit of almond milk, creating a thin paste. (to help the cocoa powder mix with all the ingredients properly). Once the milk is warm, add the cocoa-milk paste, chocolate, maple syrup, and salt. Whisk to combine. Continue cooking the hot chocolate on the stove top until it has reached the temperature you like. Serve the hot chocolate topped with coconut whipped cream and a sprinkle of cinnamon. *I used Hershey's cocoa powder.